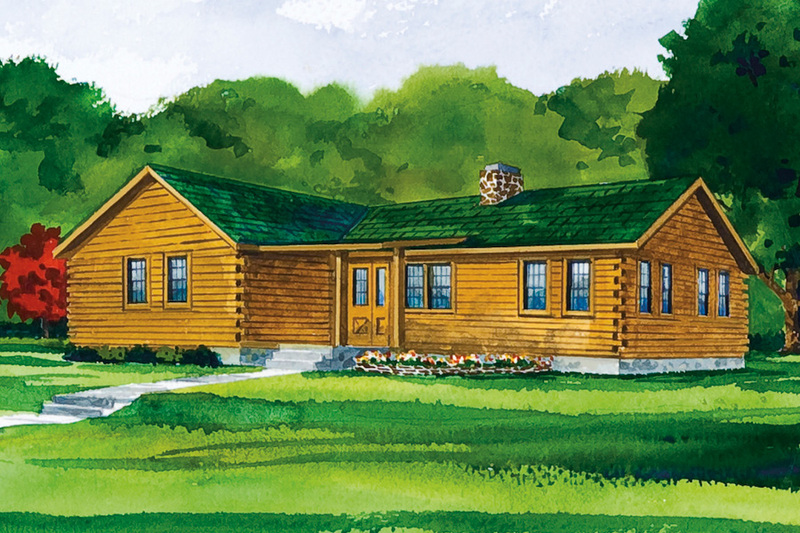 The Johnsville II is a very popular, yet affordable ranch-ideal for the family that prefers a log home over a stick-built at about the same price. Features include the spacious open-concept great room with a cathedral ceiling and exposed decorative beams, master bedroom with oversized master bath, family room off the kitchen, and convenient first-floor laundry. Outside, a rear deck accessible from either the dining room or family room is perfect for entertaining. 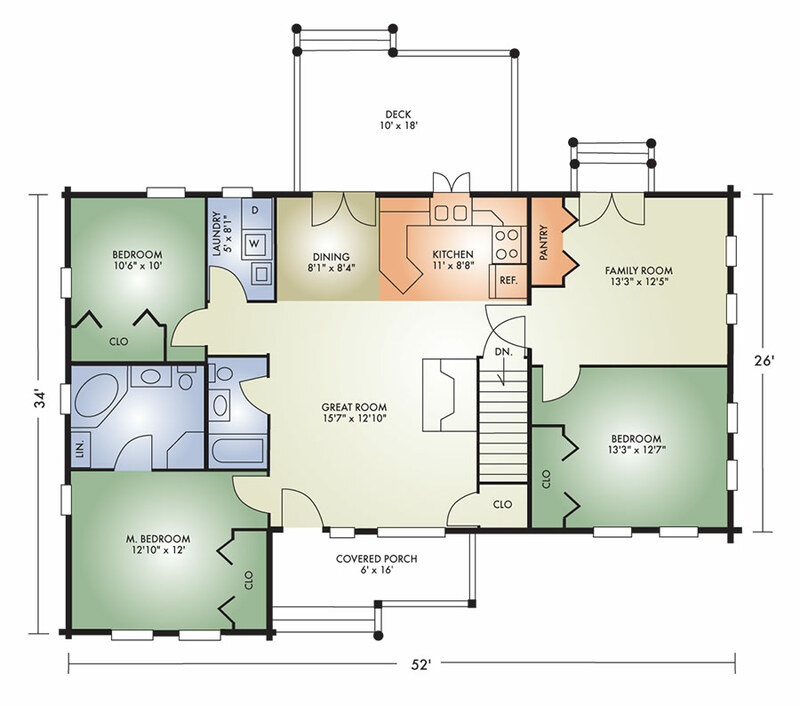 The optional basement offers additional living space and storage. If basement is not needed, the stairs are removed and the great room becomes about 4' wider.